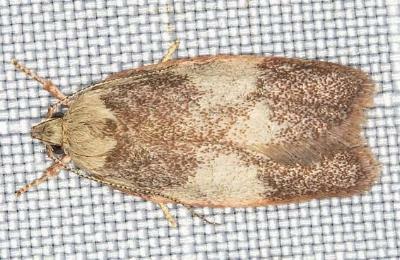 The adult moth of this species has brown forewings which each have variable pale area areas. The legs are reddish. 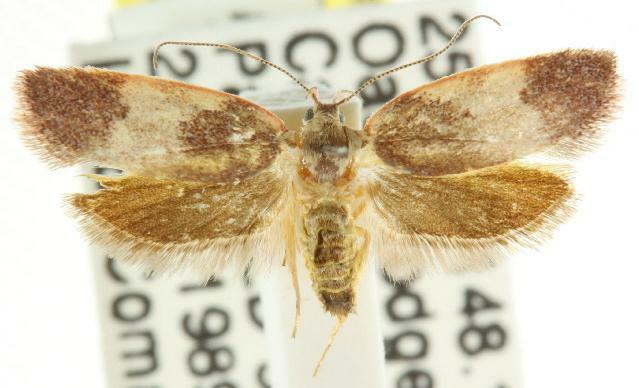 The hindwings are a uniform brown. The wingspan is about 1.5 cms. Volume 26 (1902), p. 147. Part 35, Supplement 5 (1866), p. 1835.